It is hard saying goodbye to your first home. It is always the first major investment you made in your life and leaving it will not be easy. However, you should take consolation in the fact that you are buying your next home. You will be getting what you missed in your first home: more space, great features, and a prime location. It is no doubt that buying your first home took you through unchartered waters but you will be more equipped for the second buy. We thought what you may be going through selling the place you have always called home. 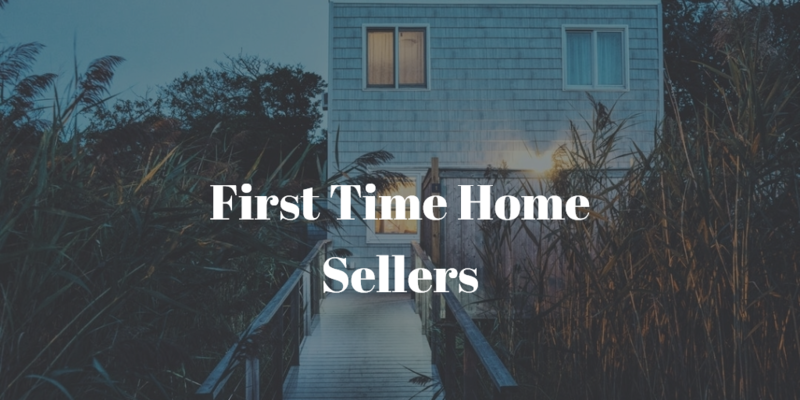 And with these 7 tips, you will be able to save more money and cut down on the anxiety that comes with first time home sellers and buying a second. Typically, spring and fall has always been the home-selling season. It is a time of great weather and buyers are willing and ready to search for a home. Besides, many homebuyers want to move during summer to be ready for the school calendar. However, you should not be dictated by seasons on when or not to sell your home. You should sell when you are ready. For instance, when your family outgrows your current home and you can afford to move it does not matter what season it is. It has been some years since you bought your first home. For better or worse, your financial standing has changed. And do you know what else might have changed? Mortgage rules. So before you begin to search for your next home, seek to know what you can currently afford. If you can precisely know where to set your price range, it will be an easy hunt. It will not always be possible to sell your home first before you buy another. But if you can, you will shrug off the anxiety of working within a predetermined schedule (and an accelerated one for that matter). And the worst is if you are not able to sell within the set timeline; you will have to bear two mortgages (a very expensive situation). If you stick to selling first before you buy, you will have significant control over the closing dates. You are better with a longer closing date for the sale-60 or more days- to allow you time to search and buy your new home. It is also advisable you arrange for a few-days-earlier closing date for buying your new home so as to have it ready when you move in. However, to make this work, be ready to take a few additional costs as you will have to find financial bridging. But the costs are nothing compared to the stress-free and smooth switch from your old home to the new one. It doesn’t always have to be that hard to sell your first home and buy the next one. With these tips, you have it all in your palms. An electrical contractor specializes in dealing with wiring systems and electrical appliances. 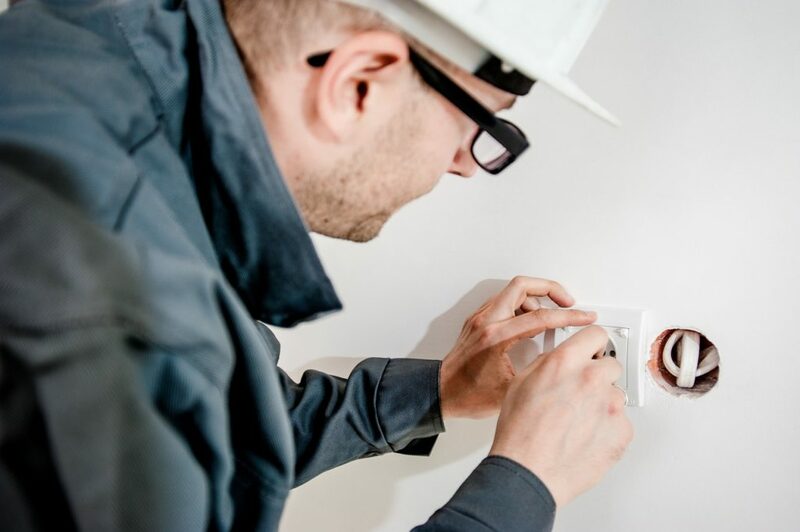 They are the professionals who are responsible for upgrading wiring systems in old buildings, installing new wiring systems in buildings, maintaining, installing, and repairing electrical appliances. On the other hand, a successful electrical contractor should have many other skills such as sales, cost estimation, and management. Even though such a contractor can benefit from obtaining a college degree, he can also learn the electrical trade while doing the job. This article provides 4 tips to become an electrician. 1. You don’t need a college education to become an electrical contractor. But such an education is an advantage in the industry. There are many trade schools that offer coursework in electrical contracting. Trade schools have programs similar to a degree from a university. Hence, you have to choose a reputable electrical trade school in the area to complete your education to become an electrical contractor. 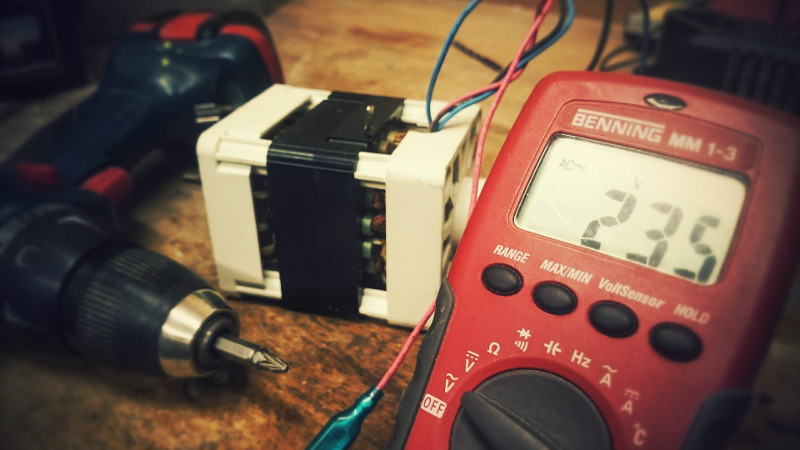 A reliable electrical course will focus on subjects such as electrical wiring, motor control, circuitry, standards for electrical codes, theories of electricity, and mathematics. 2. An electrical contractor should decide how long he is willing to be in school. A certificate will take about a year while an associate degree will take about two years to complete. On the other hand, if the applicant decides to complete a Bachelor’s degree, it will take about four years of his time. Advanced courses teach high-level business skills such as contracts and management. Such a degree will give the applicant an advantage when applying for jobs with large corporations. Once you have decided on the duration of your coursework, you should consult an academic adviser at the selected college to get information about the programs they offer and the financial assistance available for such a program. A reliable adviser will help you select the right program to become an electrical contractor. 3. A successful fitness routine is essential when you decide to become an electrical contractor. Some of the essential skills required are a good balance and an eye-hand coordination. In fact, physical fitness is mandatory when becoming a contractor. Weightlifting and jogging can help improve your endurance when you have to carry a heavy load while working as an electrician. Occupational Safety and Health Administration or OSHA is a place to take a mandatory safety training course when working an electrical contractor. This training will be useful to identify places where there can be dangers and you will want to avoid any situation that may cause harm when you are an electrician. 4. Getting an appropriate license is a final step in the process. To become a licensed and insured electrician there are requirements you need to abide by that vary from state to state. In fact, you may have to take a test to demonstrate your competence as well as pay a fee for the license. These are important things to consider when one wants to become an electrical contractor. If you are looking for more information about becoming a contractor and construction law, be sure to check back to http://www.floridaconstructionlawauthority.com/ soon! Are you tired of spending too much money on roof repair? Are you looking for ways to repair your roof on your own without any experience and further hassles? Here’s what you need to know about how to repair a roof provided by roofingrenonv.net. Are there water stains present on the ceilings or running down the walls? That’s a sign of a roof leak, and you need to fix it immediately to avoid mold as well as rotted sheathing and framing. When you’re tracking down the roof leak, you should look at the area above the stains. Try to identify any penetrations that might interrupt the shingles. These might include roof vents, plumbing, dormers, chimneys or anything that penetrates the roof. These penetrations might be right above the leak or next to it. If you have an attic, get a flashlight and look for the evidence of leaks such as water stains, mold or black marks. If you’re having a hard time finding the leaks, you should use a garden hose on the roof and soak the area you might suspect. Have someone inside the house watching out for the drips to help you identify the specific spot with a leak. If the running water doesn’t help you identify the leak, you can start removing shingles in the area. That way, you can track the leak effortlessly by looking at the discolored felt paper, rotted wood or any water stains. Note that, some roof leaks might be tight to locate because the water stains show up in the ceiling but too far from the actual source of the leak. Plumbing vent boots can either be plastic or metal. Check for cracks on the plastic bases and broken seams on the metal bases. Assess the rubber boot which surrounds the pipe for any rotting or tear which might allow some water to work its way to the ceiling. If any of these issues are present, you should replace the vent boot immediately. If the boot is still in good shape, but the nails are missing, you should replace them with rubber-washer screws. If there are damaged roof vents, you might prefer throwing some caulk at the problem, but it’s not a long-term solution. Therefore, you should consider replacing the vents immediately. If there are any missing or pulled nails at the base, you should replace them with rubber-washer screws. If you have to remove the shingles on both sides to return the new vent, make sure you do so carefully, especially if you don’t have any extra shingles to replace. In conclusion, you don’t have to break the bank when you’re repairing your roof. Once you have identified the leaks, you can proceed to patch them up and continue using your roof without any issues. Don’t ignore any leaks that you might find regardless of whether or not you’re looking to replace the roof within a short time. That’s because if ignored, these leaks will become a more significant issue. Management is the study and practice of supervisory and technological aspects in the market of building and construction. This consists of building, the science of building and development, building management and innovation in building. Management likewise refers to a company representation where a crew to a building and development contract functions as an expert to the project, hereby offering design and recommendations of the constructing. The education system for building and management is a large array of diplomas; on the job trainings, formal degree programs and continuing the education or expert advancement. Examples of official programs are “2 year” associate degree programs, “4 year” degree programs and academic programs. The accrediting of development management curricula in the United States is the American Council for Building and Education. In accordance with the academic field of building management covers a large amount of topics. These topics vary from general management abilities, to skills that have specific relation to building, to technical knowledge in the techniques of building and procedures. In basic, there are 3 groups associate with the construction of building; the owner, designer or engineer, and the home builder or contractor. As these 3 groups strategy, style and construct together, 2 agreements work in between these groups. The first agreement is referred to as the owner and designer agreement. This very first agreement involves the planning, designing and some possible factors of building. The 2nd agreement is referred to as the owner and contractor contract. 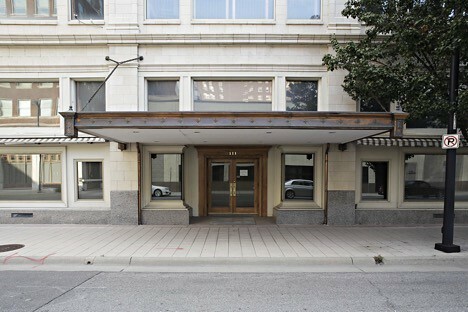 This contract involves the actual building and construction. Basic introduction to construction contract law. The first of a series working through the basics that are needed before studying construction contract law. To Buy Complete Classes visit www.studyathome.org or Call: 8737012345.
objective, scope, meaning and various types of contracts, combining and segmentation of contracts, revenue, incentives, variations, claims. ACCA F7 IAS 11 Construction Contracts Introduction Free lectures for the ACCA F7 Financial Reporting Exams. The government of Shenzhen in China has announced the arrival of what is said to be the country’s largest domestically made slurry tunnel boring machine (TBM). Singapore’s Land Transport Authority (LTA) is to build a train testing centre aimed at increasing the reliability of rail services. Technology is now available for construction sites to be policed by unmanned surveillance cameras that automatically detect safety violations or any decline in productivity. Six framework contracts have been awarded on Scotland’s largest decommissioning project. Multiplex has been named as the preferred tenderer for what has been described as the biggest tourism project ever seen in the Australian state of Queensland. The US Department of Transportation (DOT) is inviting applications for US$900m (£695m) in grant funding for projects across the country. Cemex has announced that it will help in the rebuild of Notre Dame Cathedral by providing funds and technical help. A former care home in Camberley, Surrey, is set to be torn down to make way for a new £21m retirement home development.